Chips and salsa are my snacking weakness. If I regularly purchased tortilla chips, I’d be eating them every single day. Except it isn’t usually so much about the chips. It’s really the salsa that I love. Chips, after all, are just my preferred vehicle for getting the salsa into my mouth. 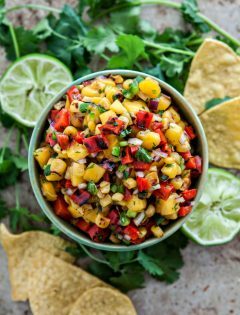 My favorite recipe is Restaurant Style Salsa. When I feel this snacking weakness coming on, and horror of all horrors I am out of my favorite store bought tortilla chips, I opt for making my own. We almost always have corn and flour tortillas in the house, you see, and it takes just a few minutes to whip up homemade tortilla chips. The fun part is you can opt for flavoring your chips. 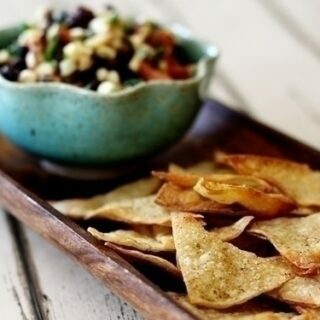 These delicious baked tortilla chips are flavored with lime juice, cumin, and chipotle for a little extra pizzazz! If you prefer plain salted chips, just skip those steps on the recipe or try and experiment with other flavors. Last night I baked up a batch of these Cumin Chipotle Lime Chips to serve with my friend Allison’s Chicken Enchilada Soup. Doesn’t that look good? I pretty much had everything in my pantry except cilantro and enchilada sauce. I had Eric pick up some cilantro on his way home and I whipped up a quick batch of Homemade Chile Gravy Enchilada Sauce. YUM! Do you have a snacking weakness? What is it? P.S. 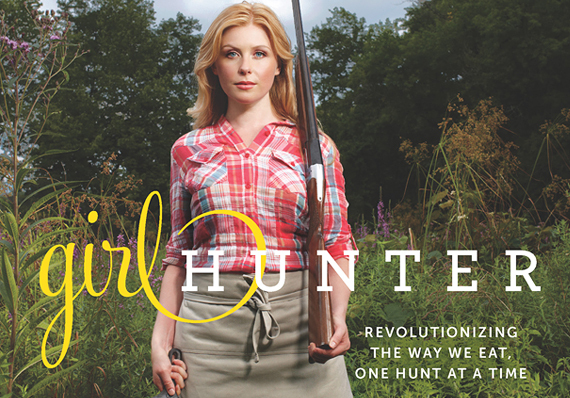 Don’t forget to head over to GoodLife Books and enter the Girl Hunter Book Giveaway. GoodLife Style has a fun New Balance Shoes and Headphone Giveaway going on right now. Stack 4-5 corn tortillas together on a cutting board. (This isn't necessary, just helps the process go a little faster.) Cut the tortillas in half, then in half again so you have 4 quarters. Cut each quarter in half. You should have 8 triangles for each tortilla. Repeat, using the rest of the tortillas. Pour about 2 - 3 teaspoons of olive oil on your baking sheet. Using a paper towel, spread the oil all over the pan to evenly coat it. Lay the cut tortillas on top of the olive oil-greased baking sheet. Lightly spray the tops of all the tortillas with spray olive oil. Juice the lime half in a small bowl. Using a silicone pastry brush, dip and lightly brush each tortilla with a small amount of lime juice. 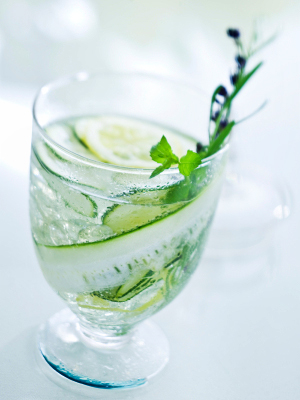 You don't want to soak it, just give it a little flavor. Then, sprinkle the chips with salt, cumin, and chipotle powder according to your taste preferences. Place the baking sheet in the oven and back at 425 degrees F for 5 minutes. Remove the tray and use the tongs to flip each tortilla over. Then bake for another 3-5 minutes, or until desired crispness is reached. Yum these look delicious with the lime! I always take slightly stale tortilla chips and bake them to go with salsas and the like. That way I feel like I’m getting my chip craving without the guilt of having regular tortilla chips. It is SUCH a great compromise. These are great flavours, love it! These sound delicious. I’ll be trying them as soon as I find chipotle powder! My snacking weakness are crackers and cheese. I love a little something crispy and salty as a snack and these chips sound like a perfect alternative. Oh chips are my weakness too! The crunch and saltiness always has me coming back for more Han I need. These look utterly delicious! Great flavor combo! Will remember these for our next batch of chili. These sound amazing – love the flavors going on! 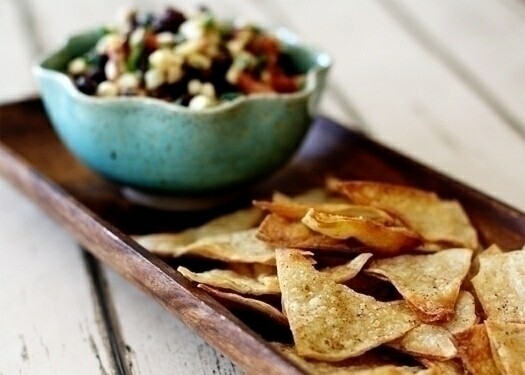 I’m kind of a tortilla chip addict, especially the Roasted Garlic and Black Bean Tostitos. 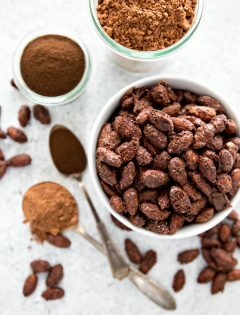 I must say – these look equally as delicious and so much healthier! chips and salsa are my snacking weakness as well. Also, I am more for the salsa than the chips. I have made my own chips but this flavoring sounds great! They’re my weakness too! These sound super tasty and addicting! Yum. Never thought of flavoring homemade chips. Duh! 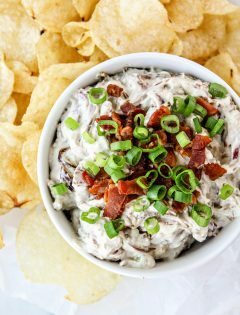 I love this recipe Katie!! These are super delish! Made them today but mixed all the cut tortillas and lime/spices in a giant bowl and tossed around. Served them with my black bean/corn/avocado salad and spicy shrimp. Thanks!